This bilingual bore based on a best-selling book was made with a specific demographic in mind, one that director Wayne Wang has frequently targeted in the past (see: The Joy Luck Club, Chinese Box, Anywhere But Here, et al.). The story concerns two pairs of female Chinese laotongs (spiritual BFFs), both played by the same actresses (Bingbing Lee and Gianna Jun, accomplished performers in their home countries). One pair exists in an unconvincingly recreated 19th century while the other is in the now though this latter pair are also featured in flashbacks to their earlier youth. The structure of the film actually isn’t difficult to follow, but the plot involving bound foot worship, misplaced heirlooms, and lower class hardships never amounts to more than a simplistic tale devoid of the emotional impact that the filmmakers were obviously striving towards. Lines like “Girls, you have a lot to learn about laotong” may make even the most forgivable of filmgoers shudder. Two notes of interest: Hugh Jackman unexpectedly portrays a nightclub owner/performer who sings in Chinese. Also, the end credits feature an animation sequence that is gorgeous enough to keep people in their seats and easily outdoes the visuals in the actual film. 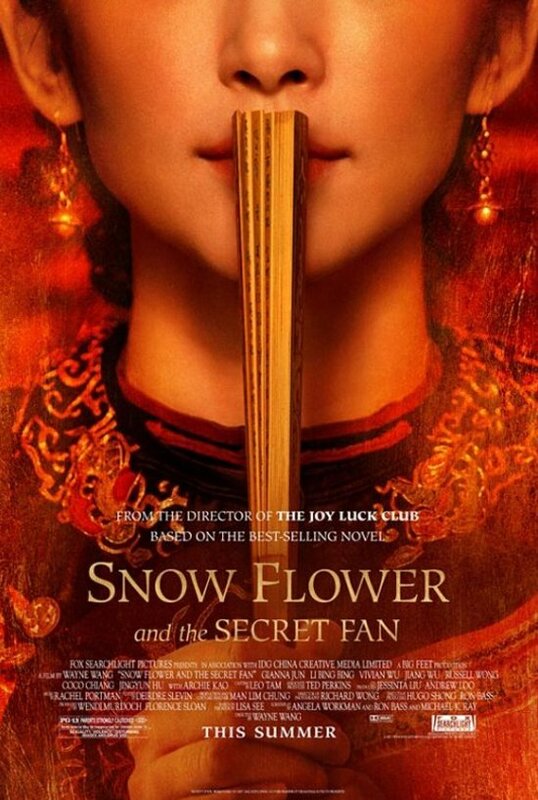 Snow Flower and the Secret Fan opens today at the Ritz 5.